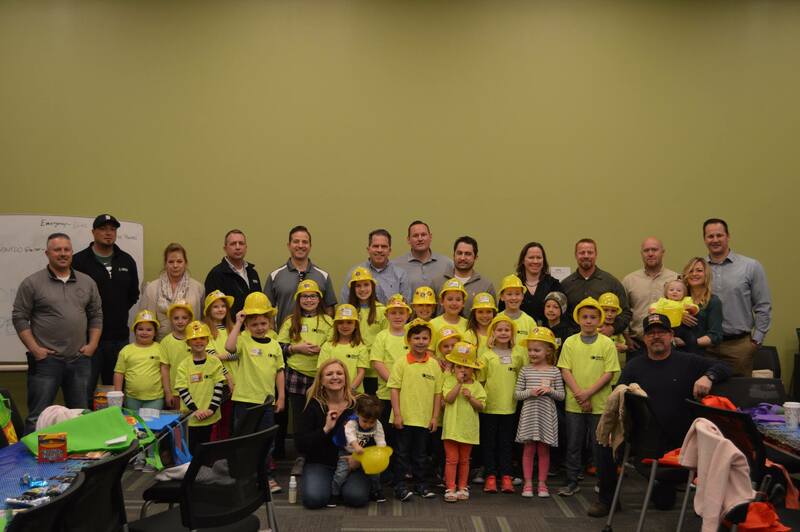 Ideal Contracting held its annual Bring Your Kid to Work Day event. The kids spent the day in the life of a construction worker. The day began with a safety orientation where the children learned that safety is the number one priority at their parents work and in everyday life. Our Senior Safety Manager, Terry Medley, demonstrated how to properly use a harness/lanyard so the children could safely experience a ride on the aerial lift. In the afternoon, the kids rolled up their sleeves and got a bit dirty, as a construction worker would, to make their very own concrete pavers! We also taught the kids what a day in the life of an Ironworker was like. Tony Poma, Superintendent, came dressed in full gear, showing the kids how steel is set and the tools used. The 2018 Bring Your Kid to Work Day was a success as the kids experienced some of the day to day tasks in the construction industry.